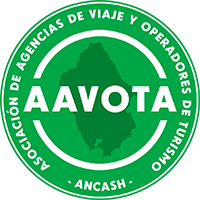 Es una empresa legal constituida y opera en la ciudad de Huaraz - Ancash - Perú. We have enjoyed a trek of 8 days in the Cordillera Huayhuash, with our kid of 6 years old. We really enjoyed the professionalism of Peruvian Mountains / Rodolfo Reyes. We strongly recommand this agency to anyone who wants to be treated as prince!!! Peruvian Mountains is one of the best companies we have trekked with around the world. We were a large Australian group of 14 people who trekked the 12 day Huayhuash circuit, and also did some acclimatization treks near Huaraz. Rodolfo organized all of these things for us superbly, and the trekking went like "clock work". The guides, cooks and muleteers were a professional, efficient and friendly team making it look easy to perform the many tasks required to keep our big contingent safe and happy. Their knowledge of the geography, people and customs made the trekking all the more interesting. The equipment and food was of high quality. There was the lovely touch of a small snack bag for each of us, made of local bright materials, and kept as a memento. The bus trip was long, and rough in places, but the comfortable bus, excellent driving skills, and strategic stops made the trip interesting. I would highly recommend Rodolfo's company "Peruvian Mountains" - and have done so since our return to Australia. Working on the film touching the void a uk production by darlon smithson for chanel 4 television in tke uk 22 july to 12 august 2002 based in the sarapococha region of the huayhuash peru particulary on the morane and glacier below the west face of siula grande rodolfo has worked hard carrying loads and helping filmingon the morane and glaciers. rodolfo will be safe and guide. Rodolfo worked well during a film T.T.V. he has been working alone an glacier. his english last it will help. and he becoming a guide. Raul Moon B.M.G. uk I.F.M.G.H. Despues de la escalada de alpamayo muchas gracias por tu ayuda rodolfo y tus campos peruanos 18 personas an subido hasta la cumbre muchas gracias y suerte. Fur die d vom 25- 08 - 03 bestatige ich Rodolfo Reyes her vonagende und um sichtige fuhrugsarbat wahrend des trekkingsum die cordillera huayhuash und besteigung des diablo mudo und cerro amarrillo.